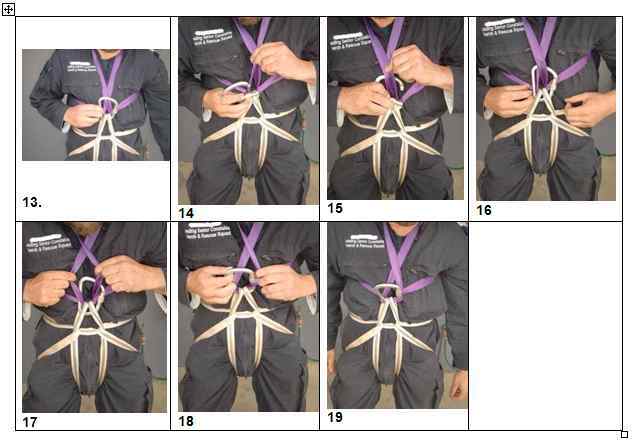 An improvised harness can be made from two slings to secure someone if necessary during a rescue. 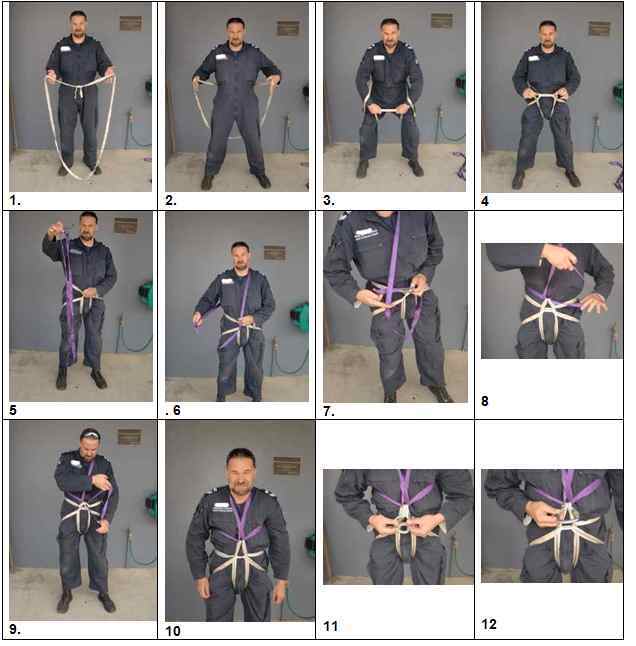 The following pictures illustrate the sequence to make the improvised harness. Bush Search and Rescue Victoria disclaims all responsibility and all liability (including without limitation, liability in negligence) for all expenses, losses, damages and costs you might incur as a result of this information being inaccurate or incomplete in any way, and for any reason.